Lauren Crickmore is the former Education Programs Coordinator at Earth Day Canada. In her work with the EcoKids and EcoMentors programs, she has developed educational materials, planned educational conferences, and trained hundreds of youth to be environmental leaders and peer facilitators. After completing her Honours BA in Environmental Policy at the University of Toronto, working at Earth Day Canada was the perfect way to put her lifelong passion for the environment into practice. Team Lead, William Watson Lodge and Inclusion Accessibility, Alberta Environment and Parks, Kananaskis Region. Kieran Dowling is currently working with Alberta Parks as the team lead for William Watson Lodge and Inclusion Accessibility based in Kananaskis Region. He lives in Canmore, AB, where he enjoys the mountain culture and lifestyle. In his role, he supports Albertans of all abilities, cultures and ages to access and enjoy the outdoors. He oversees operations for a wilderness lodge, cabins, campground= and surrounding trails for disabled persons and seniors within Peter Lougheed Provincial Park. Shailyn Drukis is a Steering Committee member of the Global Youth Biodiversity Network, a network that she helped to establish through the United Nations Convention on Biological Diversity negotiations. Shailyn also has leadership roles within a variety of other organizations, including as a youth member of the Canadian Committee for IUCN Board of Directors. Shailyn’s research interests focus in the Kluane region of the Southwest Yukon, looking at obstacles to better addressing cumulative effects assessment on wildlife, and exploring the possibilities of capturing baseline wildlife data from park visitors and local citizens. As the Program Manager at Embark, Amy works with student leaders, providing development opportunities as they tackle hands-on sustainability projects at Simon Fraser University. Amy pursues food security-related initiatives in both work and volunteering, and values community and relationship building. Amy keeps a balanced life by making music, dancing, and cycling. Winnie Hwo joined David Suzuki Foundation’s Climate Change Team in 2010 after a long and stellar career in Journalism. She was the news and current affairs director for Fairchild Television and the recipient of the first Chinese language Jack Webster Award. Winnie is passionate about Canada’s multicultural policy and healthy environment. Her views on engaging new Canadians in Canada’s green movement can be found in the Philanthropist, an Ottawa-based immigration magazine - Public Engagement with Ethnic Canadians; the Corporate Knight Magazine, CBC Radio’s Stephen Quinn’s Show on Ethnic Enclave and the David Suzuki Foundation website. She is currently leading the Sustainable Diversity Network after the Report Launch on November 10, 2015 -- a culmination of five years of multicultural public engagement work at the David Suzuki Foundation. Winnie graduated from the Ryerson School of Journalism in Toronto, Ontario and has a BA degree in History from Simon Fraser University in Burnaby, B.C. Connect with her on LinkedIn. Meagan is an Account Manager at Fairware Promotional Products, specializing in ethical and sustainable branded merchandise for brands that care. She is a passionate person who is constantly exploring and learning. Key areas of interest include sustainable development, global supply chains, photography for good, collaboration, and making a positive impact through personal and professional channels. Emilie is a marine biogeographer, climate activist and PhD Candidate with the Marine Geomatics Research Lab of Memorial University. Her research aims to support conservation planning by exploring, explaining and mapping climate-driven changes in marine habitats. During her time with the Canadian Youth Climate Coalition (CYCC), Emilie developed and delivered climate justice programming to thousands of Canadian students through the Wings of Change climate education program. She also participated in UN Framework Convention on Climate Change (COP16, COP17) as a member of the Canadian Youth Delegation. Green Party member Peter Ormond created the Green Being character, and loves working on sustainable community projects - regardless of the simplicity or complexity. He'll do whatever it takes. As an engineer and educator, he is an instructor at various colleges and is active as a guest speaker. He has also hosted web-based Green TV and the radio show "Green Sense" for several years. Each summer, Peter sharpens his pencil to create a play for Hamilton's Fringe Festival and reminds all who cross his path that "a vote is cast with every choice made." Lover of trees, advocate for equality, and believer in community—that is Jackie in a nutshell. Every aspect of her life is guided by a passion for environmental justice and a belief that a group of engaged citizens can have a profound impact on the world. She worked as the Development and Communications Coordinator for the Canadian Parks and Wilderness Society, an environmental organization dedicated to ocean and wilderness conservation. Jackie completed her BA in Geography with a focus on environment and sustainability. When she's not fighting for environmental justice, you can find her scaling mountains or riding waves. Chris is the Executive Director and Co-Founder of Shifting Growth, a Vancouver-based registered Charity with a mission to transform vacant lots into temporary community gardens. Chris brings his decade of experience in the ecosystem restoration industry to focus on the logistics, stakeholder management, and project management at Shifting Growth. Attaining an Environmental Studies Degree & Diploma in Environmental Assessment from the University of Waterloo with a Certificate in Carbon Finance from the University of Toronto, Chris combines his education with years of field management experience to collect a holistic understanding of environmental issues and opportunities. Josh Silberg is the Science Communications Coordinator for the B.C.-based Hakai Institute. He has researched everything from humpback whales to whale sharks to rockfish. Now, he shares science stories through blogs, videos, and the occasional poem. Erica is an environmental lawyer on contract with the Canadian Environmental Law Association (CELA). Erica holds a joint Juris Doctor/Masters of Environmental Studies from Osgoode Hall Law School and the Faculty of Environmental studies at York University. Erica has experience before the Ontario Municipal Board and the Environmental Review Tribunal, and has worked on files pertaining to nuclear power, water contamination, land use planning, and many more. While at Osgoode, Erica focused on Canadian environmental law and Aboriginal law, as well as the legal traditions of Indigenous peoples in Canada. Erica has traveled to El Salvador to work for a civil liberties association and to northwestern British Columbia to develop legislation for the Nisga'a First Nation, the first modern treaty Nation in Canada. Tesicca is a sustainability advocate and a community builder. She kick-started Vancouver Youth4Tap, a movement to promote tap over bottled water and co-founded the VSB Sustainability Conference. She has worked on the Mayor’s Engaged City Task Force, chaired Sustainable SFU’s Board and was named twice on the The Starfish Canada’s Top 25. Crista has led the CoalitionWILD movement (www.coalitionwild.org) since 2012, engaging with the next generation of conservation leaders and using the platform as an inspirational hub and catalyst for further action. Through CoalitionWILD, Crista works with emerging change-makers across sectors to highlight and support grassroots actions to create a better future for our planet. Crista also owns a business, Current, LLC, that works as an idea accelerator to bring big visions to life. In her role as Senior Manager, University Sustainability, Kate collaborates and facilitates the strategic direction, communication, implementation, and management of various aspects of University sustainability, including providing the overall direction for the Sustainability Internship Program. Kate is also the Director of the Sustainable Future Program, where she directs the development and operation of the Program through building and fostering relationships and forming collaborations with staff, students, faculty and members of the broader Hamilton community. In her role, Kate encourages staff, faculty and students and community members to join in to help create a sustainable culture at McMaster and within the broader community. Kate has an Honors B.A. and M.A. from McMaster University and is currently a PhD candidate in McMaster’s School of Geography and Earth Sciences. Raaj is a leader and mentor for youth environmentalism and social justice in Vancouver's Lower Mainland. Raaj is a founder of The Compassion Project, an interfaith program to bring nutritious food and clothing to homeless citizens in Whalley. Raaj works as a junior leader with the Metro Vancouver Youth Sustainability toolbox. He studies Mechatronics Engineering at Simon Fraser University and is a student organizer in the Divest SFU movement that led to reducing SFU endowment portfolio’s greenhouse gas emissions down by 30% by 2030. As a Client & Services Representative at Real Food for Real Kids, Lauren is helping connect kids around the GTA with healthy food and encouraging them in developing lifelong healthy eating habits. In her previous work she developed educational materials, planned educational conferences, and trained hundreds of youth to be environmental leaders and peer facilitators. After completing her Honours BA in Environmental Policy at the University of Toronto, she has enjoyed put her lifelong passion for the environment into practice. Brett Dolter is an ecological economist specializing in climate and energy policy research. 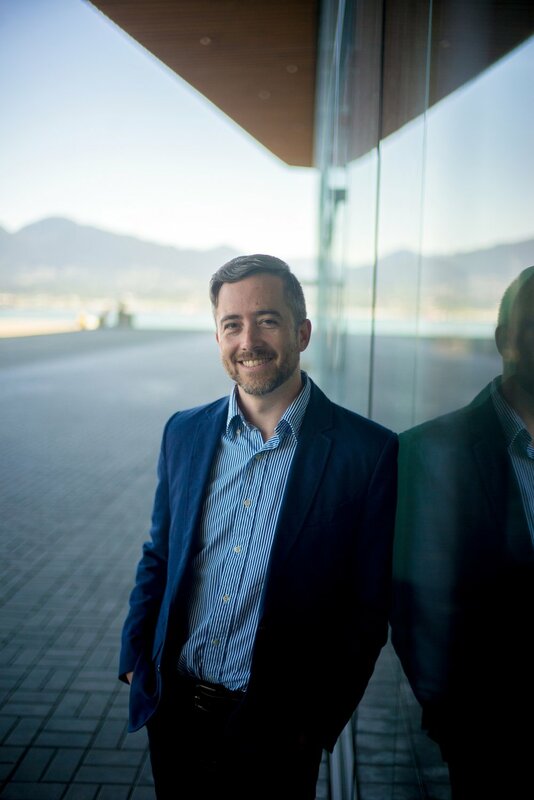 Brett completed his PhD degree at York University and holds a Masters in Economics from the University of Victoria and a Masters in Resource Management and Environmental Studies from UBC. Brett is the David Suzuki Foundation Climate Change Economics Fellow and his research focuses on pathways to a zero-emissions future. His research to date has focused on evaluating pathways for decarbonizing the Saskatchewan electricity sector, and the role of inter-provincial electricity trade in balancing the variability of renewable energy. Bethany Downer was on The Starfish Canada's Top 25 in 2015 and 2016 and was one of the judges for the 2017 contest. In 2014, she founded the non-profit organization One Step Shoe Recycling to share her passion for sustainability and community engagement. The program redistributed tens of thousands of unwanted shoes from across Canada to those in need around the world. This project helped name her as one of the Canadian Top 30 Under 30 in Sustainability by Corporate Knights in October of 2016 and one of Canada's Top 30 Under 30 for a Brighter Future in 2017 by the Bay Street Bull. Bethany now resides in the Netherlands, having recently completing her masters degree from the International Space University in France where her thesis analyzed the sustainability of reusable rockets. Shailyn Drukis is a steering committee member of the Global Youth Biodiversity Network, a network that she helped to establish through the United Nations Convention on Biological Diversity negotiations. Her research interests focus in the Kluane region of the Southwest Yukon, looking at obstacles to better addressing cumulative effects assessment on wildlife, and exploring the possibilities of capturing baseline wildlife data from park visitors and local citizens. 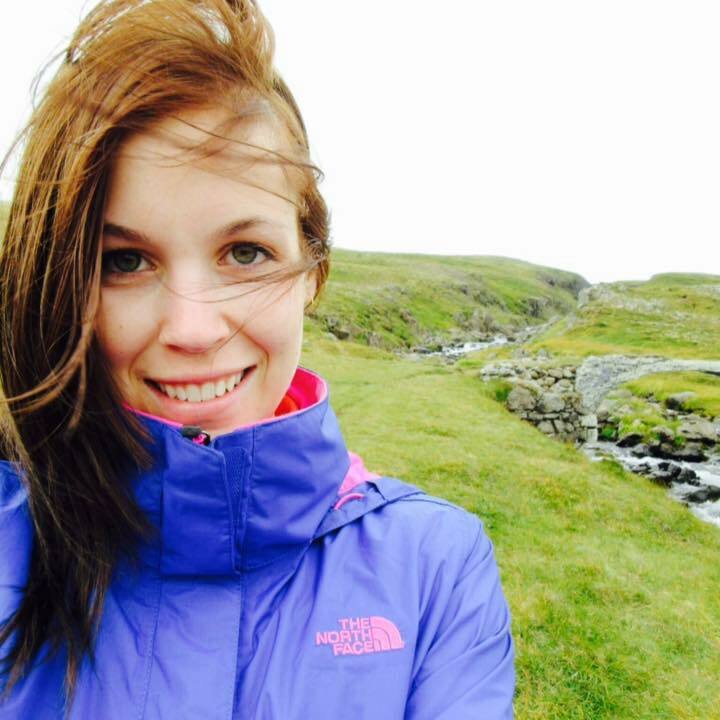 Jennifer is the Adaption Policy Advisor for the Nunavut Climate Change Secretariat in Iqaluit. In this role, she works to assist Nunavummiut with Climate Change issues and find adaptive solutions so that Nunavummiut may live a more resilient future. She is a passionate culturalist and environmentalist. She advocates for Inuit and Nunavummiut involvement in climate change discussions across all governments and organizations, locally and nationally. She believes the key to climate change adaptation is traditional and modern knowledge mobilization and communication. Jan-Sebastian is the co-founder of A for Adventure, a company that aims to connect people to nature through story-telling. His youth was spent camping and adventuring on the shores of Nova Scotia – and he still hasn’t grown up. Jan is the author of the "A is for Adventure", the best-selling children's book. Jan got his inspiration for the book through his years of guiding adventure trips all over the world and working with youth as a Recreation Therapist. While working with these youth and from his own personal experiences, he has realized the power of the great outdoors and has made it his life's mission to share that passion and help kids reconnect with the earth through adventure. Samantha holds a Bachelor of Science from the University of Alberta in environmental science. She has experience working in government and non-profit sectors, was part of the Canadian Parks Council working group that developed The Nature Playbook, and is the co-founder of the non-profit called The Poison and The Apple. Chúk is the co-founder of The Poison and The Apple, a collaborative entity aiming to reconnect Canadians with Nature through innovative, fun, cultural projects. He has a masters degree in environmental health (focus on toxicology) and undergraduate degrees in environmental science and chemistry. Through speaking at various national and international conferences and events on the intersection between the environment and human health, Chúk has been a part of some exciting projects to both better the environment and our relationship with it. Peter Ormond loves working on sustainable community projects - regardless of the simplicity or complexity. As an engineer, Peter's stage has evolved from Green Party candidacy to the web-based show "Green TV", and radio show "Green Sense", to several Hamilton Fringe plays and various films. All focus on local solutions that all carry the common theme of collective change. After all, a vote is cast with each choice made. Pascale graduated in Biology from the University of New Brunswick. She has been active in the environmental movement of NB for more than 6 years. She was the Education and Outreach Programs Coordinator at the New Brunswick Environmental Network (NBEN) and has also worked at the Conservation Council of New Brunswick. Pascale has a passion for outdoor education, plant identification, Indigenous knowledge and is fully bilingual (French and English). She currently sits on the Canadian Network for Environmental Education and Communication (EECOM) Board of Directors. Brian Sieben is a Climate Change Adaptation Specialist with the Government of the Northwest Territories, Department of Environment and Natural Resources in Yellowknife. Brian first became involved in studying climate change impacts in the NWT as part of his MSc at UBC he was involved in Environment Canada's Mackenzie Basin Impacts Study that looked at climate change impacts in the Mackenzie River drainage basin. Abhay is a 16 year-old environmentalist and activist from Surrey, BC. He has been involved in various organizations and was inspired to start an organization called Break The Divide Foundation after traveling to the Arctic on a Students on Ice Expedition in 2016. Through Break The Divide, youth from around the world are connected to discuss prominent issues facing their communities, such as climate change. Abhay is also an avid public speaker, hockey player, and pianist. Chris is the co-founder of A for Adventure, a company that aims to connect people to nature through story-telling. His background is in marketing, media and social media. Chris can often be found somewhere in the woods; hiking, camping and exploring. His real passion is helping people and especially kids, experience the joy of adventure and the difference being outside in the natural world can make in our lives. More than ever, he sees the need for kids and families to get outside and learn more about the world we live in. Carly is a community-based researcher and health activist working with the Dr. Peter AIDS Foundation and student food nonprofit Meal Exchange. Originally from Manitoba and currently living in Vancouver, she explored how environmental racism impacts food security and reproductive health through her Masters of Public Health. Carly loves to get nerdy about science fiction and urban agriculture, and sits on the Board of Directors of Learning for Sustainable Futures. Julie-Lynn is the Stewardship Coordinator for Prince Edward Island-based land trust, Island Nature Trust. In this role, she works to connect Islanders of all ages, but especially children, with nature through development of environmental curriculum, organizing field trips and events, and by chairing a newly formed Youth Committee. She is also pursuing a Master’s degree through Royal Roads University, studying habitat use by forest birds in PEI’s fragmented forest landscape.